The sea surface temperature anomaly (SSTA) is the difference between the observed SST and the climatological SST. These anomalies are calculated on a weekly basis. Positive SSTAs are usually correlated with increased regions of convection (cloudiness and rainfall) while negative SSTAs are usually correlated to reduced convection. 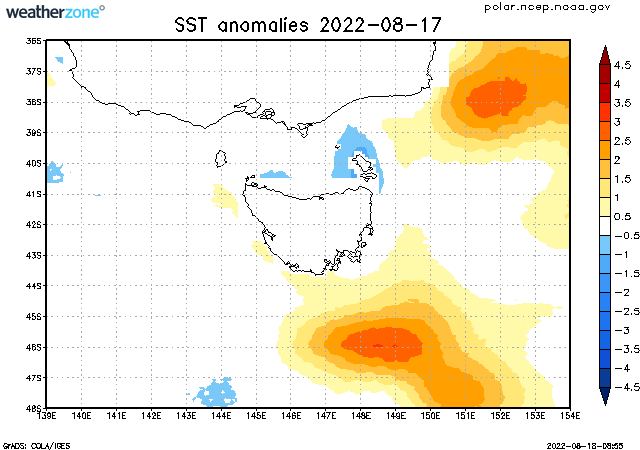 SSTAs can be used as an indicator of the phase of global climate fluctuations, such as the El Nino/Southern Oscillation (ENSO).